Ten St. Johns Cathedral Layweeders spent two busy hours in the Cathedral Gardens on the Saturday before Palm Sunday. 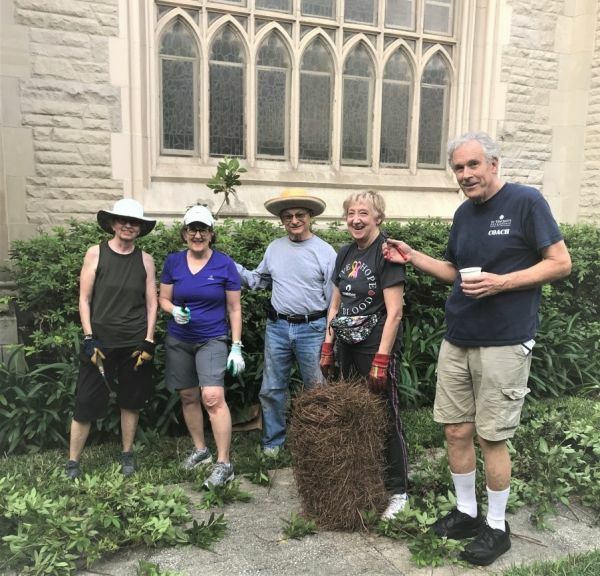 This wonderful team of gardeners put their weeding, pruning and mulching skills to work for the beautification of our Cathedral grounds. Participants included: Sylvia Armsby, Bo Parker, Betty Ann Graves, George Masters, Kathie Meuselbach, Don Neifert, Sheila Russo, Leland Pettis, Laura O’Shields, Charles Stark (photographer) and Julia Stark (Layweeder Coordinator). Sylvia Armsby and Bo Parker (not pictured) specialize in maintaining Burwell Court Garden. 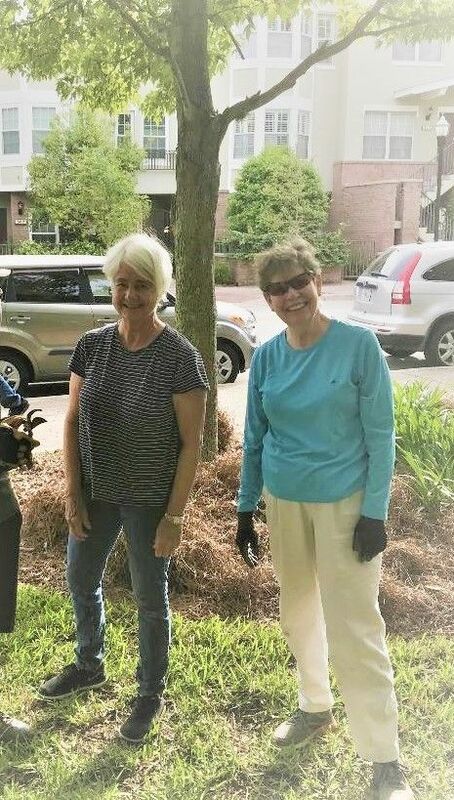 Special thanks to Malcomb Williams, Sexton, for placing pine straw bales for the Layweeders and cleaning off the sidewalks, and Debbie Scroggins, Sexton, who works in the gardens every Tuesday. Julia Stark, Betty Ann Graves, George Masters, Kathie Meuselbach, Leland Pettis. Azalea pruning in the Bishop’s Garden.